A nice tie, but it came with a pull in the middle. Response from Charles Tyrwhitt: This certainly isn't up to our usual high-quality standards and I am very sorry it rather spoiled your enjoyment in receiving such a beautiful tie. I'm glad to see you raised a return with us in light of this, however, which is exactly what our no quibble 6-month guarantee is there for. 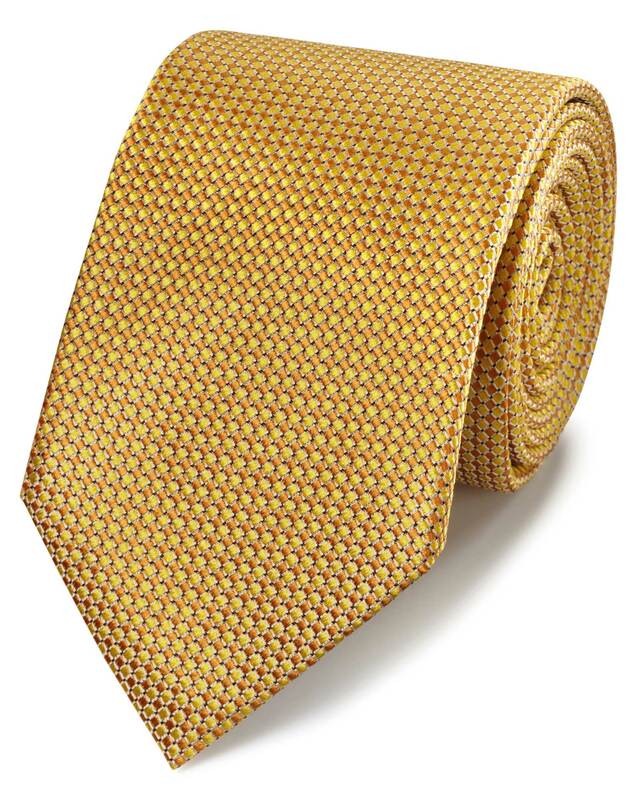 The new tie will be arriving soon and I'm sure it will be perfect. You'll soon be the envy of all your co-workers in the office!